With the sun shining and National Tequila Day upon us, we combined the best of summer and clean, crisp blanco tequila to create some afternoon summer sippers. With all of the fresh fruit in the refrigerator, we played around and created two very refreshing drinks that were easy to make and even easier to drink! For our first cocktail, we muddled watermelon, mint and jalapeno and then added the juice of half of a lime, 2 oz of tequila and shook over ice and then strained into a glass. We opted not to add any additional sugar as the sweetness of the watermelon was just enough with the tartness of the lime and a hint of heat on the back. This drink was so light and refreshing that it was hard to believe it was alcoholic. For our second cocktail, we muddled up peaches and jalapeno and added lime juice, a little simple syrup and 2 oz of tequila. Shook the ingredients over ice and then strained into a glass. This drink was a little richer but still refreshing. It was that easy to create a new drink by just changing a few ingredients! 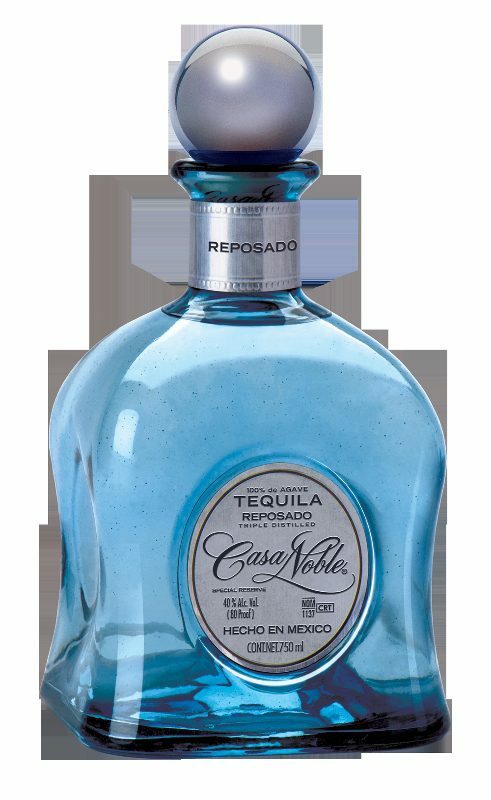 Our tequila of choice for these summer drinks is Casa Noble Tequila. A boutique distillery, Casa Noble was started in 1776, more than 200 years ago, and today is run by the 7th generation of the Hermosillo family, Jose Pepe Hermosillo. Located in the hillsides of Jalisco, there are over 6500 acres planted with more than one million Blue Weber Agave plants. The plants grow on volcanic slopes surrounded by citrus and mango trees which influence the flavor of Casa Noble tequilas. Water is not easily retained in the porous soil, making the plants fight for survival. But the result is stronger, more flavorful tequilas. Using traditional methods, Casa Noble uses a 100% natural fermentation process and is 100% USDA certified organic. The Agave plants are harvested at their peak maturity (10-12 years old). The distillation water is naturally treated and reused for irrigation. The Blue Weber Agave is slow roasted for 38 hours in traditional stone ovens and the tequila is triple distilled. There are no pesticides, herbicides or growth hormones used. Making the tequila in an organic manner results in a clean, pure flavor that reflects where the tequila comes from. 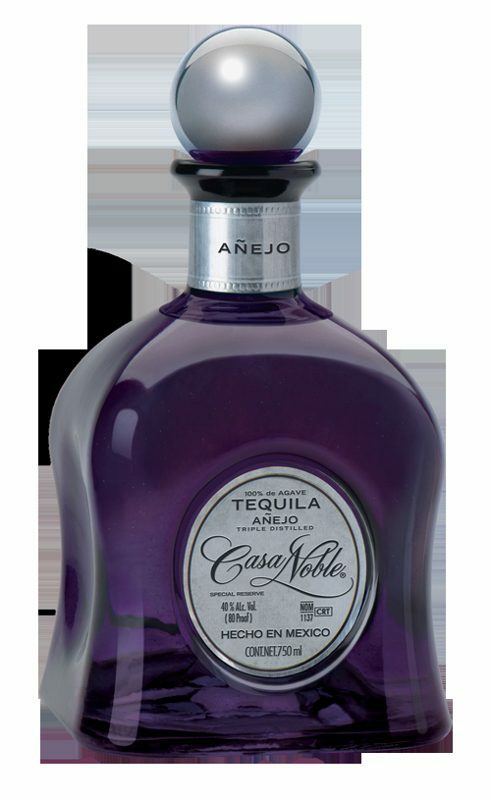 The Casa Noble family of Single Estate Organic Tequilas includes five styles: Crystal, Reposado, Angejo, Single Barrel Reposado and Single Barrel Anejo. Casa Noble Crystal is a clear color with notes of white pepper, lemongrass and mango. Soft and elegant on the palate, it tastes like buttery sweet agave with spice and a hint of citrus and has a silky finish. Casa Noble Reposado is aged for 364 days in lightly charred new French Oak Barrels. Amber color with hues of bright copper, the nose has notes of soft vanilla, white oak and floral. On the palate there is a long full finish with vanilla and subtle spice. Casa Noble Anejo is aged for 2 years in lightly charred new French Oak Barrels. Deep amber color with rich copper tones, the nose has notes of cooked agave, spices, dried fruits, butterscotch, vanilla and chocolate. Powerful and intense on the palate, there are notes of butterscotch, dark chocolate, nuts, vanilla, and rich French Oak. What we love about Casa Noble Crystal is that it is well-balanced and paired nicely with the fruits in our drinks. Of course, if you don’t want to make a cocktail, we suggest that you pour some Casa Noble Resposado or Anejo Tequila neat (or over an ice cube) and sip away. This entry was posted in Cocktails and tagged Casa Noble, Casa Noble Tequila, DrinkWire, Jalisco, Liquor.com, National Tequila Day by Allison Levine.